Find your very own vacation spot, in your own backyard! 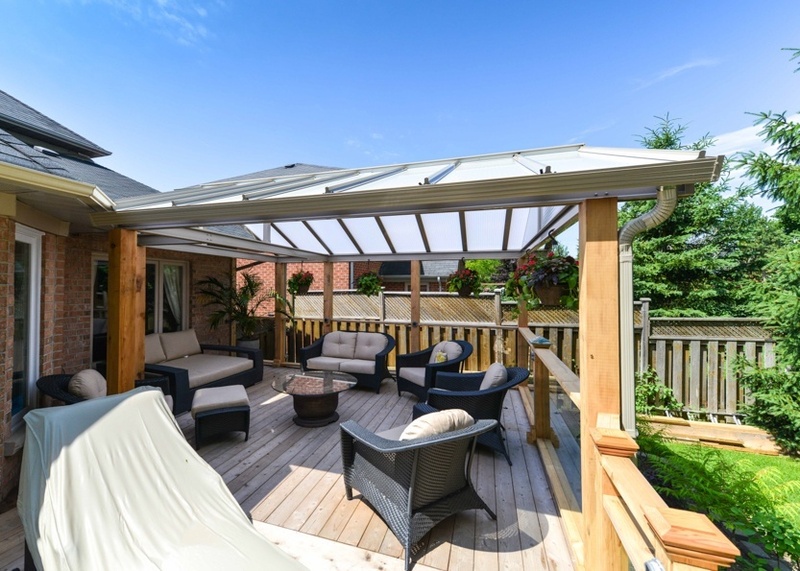 Create your own backyard oasis with Sunroom and Awnings. We can help you turn you worn out deck and patio into an evening and weekend retreat for you and your family. Whether you have a patio and want to add shade, or you want to expand your leisure with a hot tub, we can help you find the perfect combination for your backyard oasis. Our Sunspace Patio Covers are custom designed to your needs. Choose from Acrylic or Full coverage based on your space, easily installed onto existing decks and patios. If you are hoping to get protection from the elements, an aluminum roofing system would be a wise choice. While if you are looking to enjoy the sun’s natural light with your family, our Acrylic Roof Systems allow natural light in while keeping UV rays out. Add style, value and shade to your home! If you would like a versatile option for shade, Awnings come in different styles, and designs to fit your space and needs. Custom manufactured, our Awnings are durable, corrosion resistant and beautiful. Some of our designs have the option for a drop screen with a 5-foot extension, providing privacy as well as reducing sun and glare. Awnings are a great way to extend the enjoyment of your backyard, patio or deck. If you have an existing porch or sunroom and want to extend your enjoyment even further, Sunspace WeatherMaster Plus is a great option. The WeatherMaster Plus system can be installed into any existing roof structure or sunroom, and it provides ultimate versatility. Designed with stacking doors, the WeatherMaster Plus gives you the option of either enjoying the protection of a sunroom, the openness of a screen room, or the great outdoors, with 100% ventilation! A perfect way to extend your enjoyment and comfort of your outdoor space. Take your backyard to the next level of luxury and create the ultimate oasis with a Hot Tub. Choose from a selection of spas, for soaking, recreation, or therapy. Our customer service representatives guarantee your satisfaction, and will help you find the perfect spa for your space. Take your oasis to the next level with a H20 Spa!